The first call came in at 8pm. 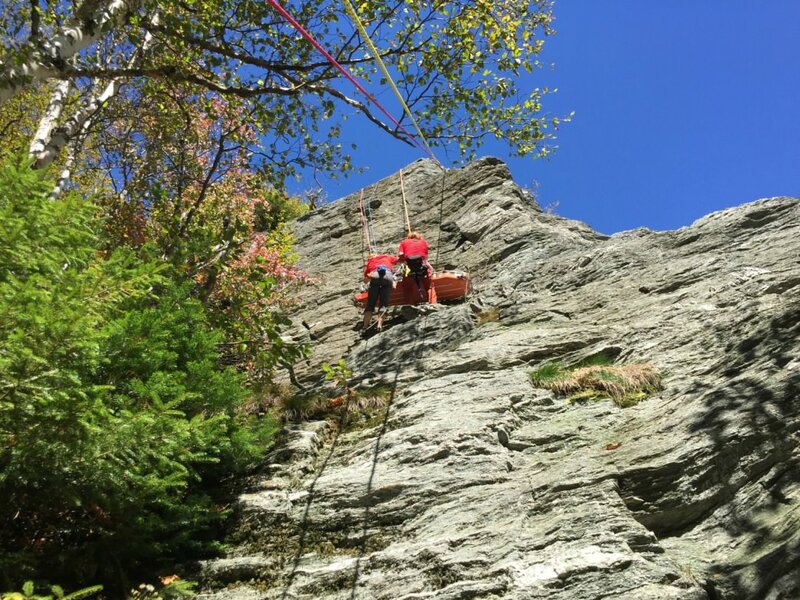 Two young men were in trouble in the Grand Confusion Gully, a popular ice climb in winter and a scree gully in the warmer months, in Smugglers’ Notch. One of the men had fallen 160 feet and landed on a ledge about 40 feet from the top of the approach to the same gully. The guy, who had basically scalped himself on the way down, had slipped while trying to traverse the top of Grand Confusion. 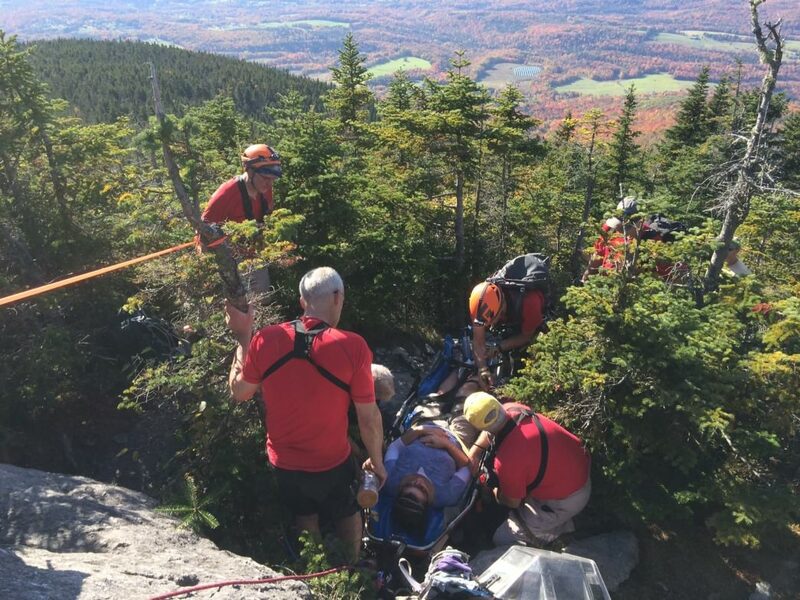 After two hours, the backcountry rescue team from Stowe Mountain Rescue (SMR) was able to evacuate the fallen subject who was then flown by DART to the hospital. His friend, however, was still at the top of Grand Confusion, uninjured, but stranded, and unable to navigate his way safely down. So, the rescue crew went back. It took them several attempts to find a safe route—most were too dangerous with wet, loose, rock—before they were able to find a safe enough ascent to get to the hiker. They ended up traversing into Easy Gully, one of Grand Confusion’s neighbors, climbing 200 feet in elevation above Grand Confusion, and then traversing north. It was only then that they were able to make voice contact with the stranded hiker. A rappel, then a short scramble facilitated direct contact with the subject. He was provided a harness and helmet and secured to an anchor. A double rope rappel down Grand Confusion was established and the subject was brought down the 200' cliff. He was then hiked out to the staging area without incident. It was 3:30am. The night should have been over at this point, but it wasn’t. As the rescue team began packing up to head home, tones went off and they were dispatched to another call. This one for a man who had gotten out of bed to go to the bathroom and had subsequently fallen from the loft in his remote cabin—about 600 feet from any vehicle access. Local EMS crews needed help carrying him out. The ambulance couldn’t drive up and he too, needed a litter-carry. So with no sleep, SMR hauled across town to the cabin in the woods. It was 3:45am when they arrived. But, the patient’s condition was surprisingly bad when they arrived on scene and they hurried to get him to the ambulance. Turns out, the man had suffered a lacerated spleen and other internal injuries from the loft fall, while the young man from the Notch was sewn up and sent home. 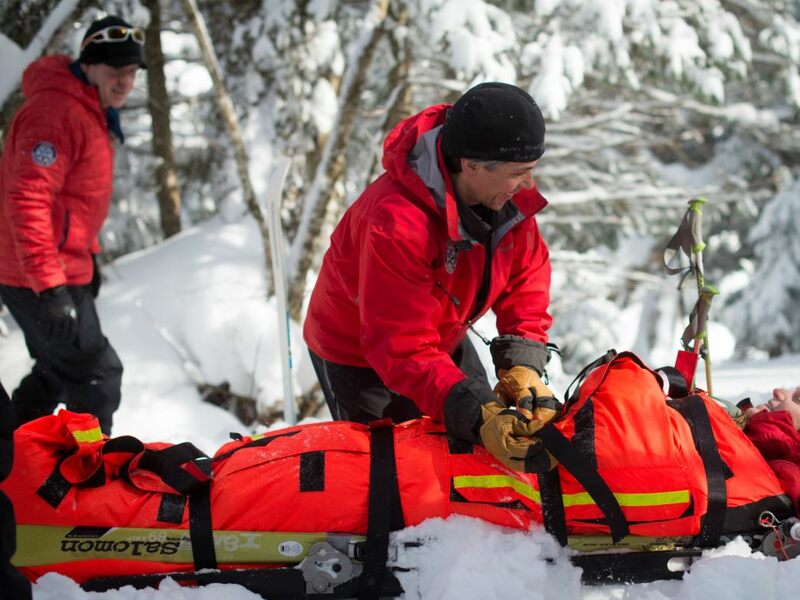 Members of SMR come with a strong outdoor background—climbers, backcountry skiers, mountain bikers, kayakers—and are comfortable and competent in the backcountry for hours at a time. Veliko, himself is an avid climber of both rock and ice, and a backcountry skier, trail runner, and hiker. 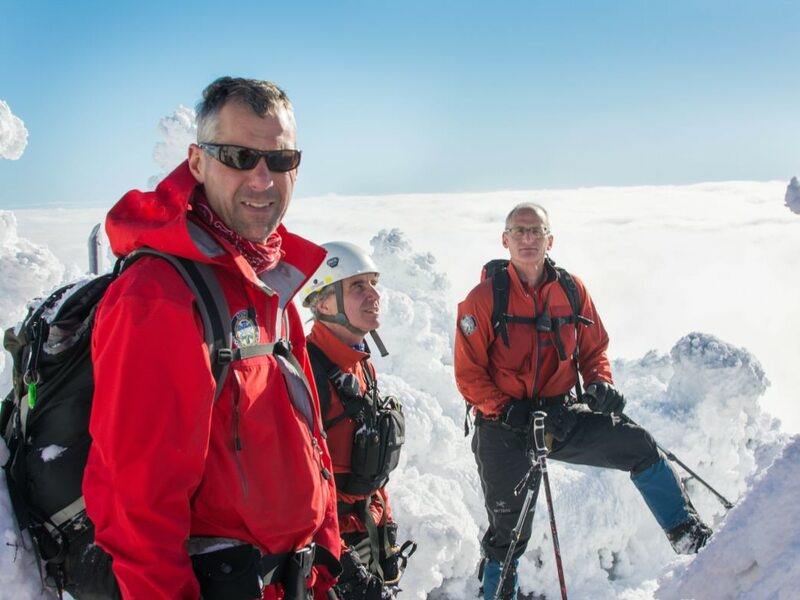 It was rock climbing that originally peaked Veliko’s interest in the rescue world. “I started climbing when I was 16 when there was no backcountry rescue infrastructure,” he said. 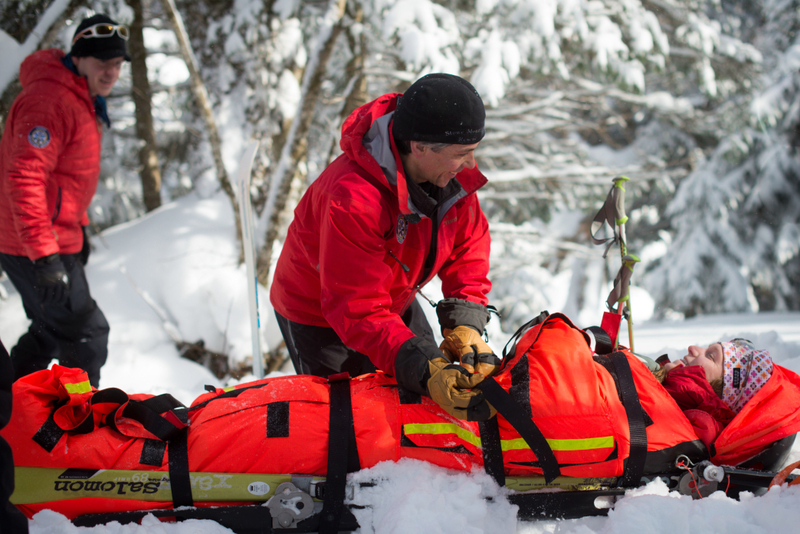 “I realized then that I needed to take first aid.” His interest in the field grew from there, from a first aid class, to ambulance driver, advanced EMT to crew chief, and finally SMR member to chief of backcountry rescue. He is also the team's most accomplished technical climber. SMR heads out to an average of 35 calls per year—unless it’s a major snow year, they are surprisingly busier in the summer. Crewmembers oftentimes find themselves being asked to deliver a headlamp to an unprepared hiker in the dark or helping others navigate the sticky situations that can easily be found when hiking around Mount Mansfield and the Notch. Of all these calls, winter or summer, Veliko finds the ones where he can help a competent outdoorsman in trouble the most rewarding. Veliko’s advice when heading into the backcountry? And that's when Veliko and the team at SMR get the call.